2231-1963 ANALYSIS OF PHOTOVOLTAIC CELLS WITH CLOSED LOOP BOOST CONVERTER Rikesh Singh and Moumi Pandit Department of Electrical and Electronics Engineering, Sikkim Manipal University, Majhitar, Rangpo, East Sikkim, India ABSTRACT The Conventional sources of energy are rapidly depleting and cost of power has been escalating day by day. 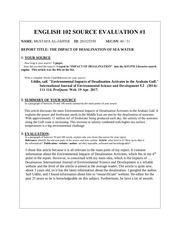 EDU 626 Week 2 DQ 1 EDU 626 Week 2 DQ 1 Pros and Cons of Literature Sources Check this A+ tutorial guideline at http://www.assignmentcloud.com/edu626-ash/edu-626-week-2-dq-1-pros-andcons-of-literature-sources Describe the pros and cons of different sources of literature including the library, online libraries, academic journals, and World Wide Web resources. A variety of sources can be installed, such as electron beam sources, thermal sources, ion sources, and magnetron or diode cathodes (RF or DC). 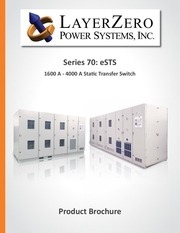 eSTS 1600 A - 4000 A Static Transfer Switch eSTS Protects The Power For Critical Operations Even Entire Buildings eSTS Automatically Transfers Between Two or Three* Power Sources The Series 70 eSTS is a solid-state transfer switch that automatically or manually provides solid state transfers between two in-phase AC sources in a quarter cycle. 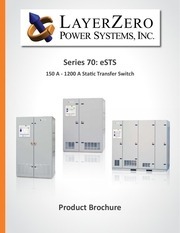 eSTS 150 A - 1200 A Static Transfer Switch The LayerZero eSTS Static Transfer Switch Maximizes Power Reliability eSTS Automatically Transfers Between Two or Three* Power Sources The Series 70 eSTS is a solid-state transfer switch that automatically or manually provides solid state transfers between two in-phase AC sources in a quarter cycle. Lindeman The Sources of Social History THE SOURCES OF SOCIAL HISTORY 12 Mary Lindemann Social historians exploit a variety of archival, manuscript, literary, and nonwritten sources.